Today, the Academy of Motion Picture Arts and Sciences named Pearl, an animated short created by the tech company, among its nominees for best animated short film of 2016. But Pearl isn't just any animated short—it was created for virtual reality, making it the first of its kind to be considered for an Oscar. The six-minute movie, which Adweek wrote about last summer, is a father-daughter road trip saga that features the duo driving along in a car, playing music and following their dreams from city to city. The film lets people view the YouTube Spotlight Series production in a number of ways. While anyone can still watch the 2-D version, viewers can open it via YouTube's app and spin the phone around 360 degrees to see various perspectives of the journey. The most immersive experience, of course, is to watch it with a VR headset, which lets users feel as if they're inside of the car. Google is competing with Pixar's Piper, a non-VR film about a baby seabird trying to find its way. Others in the category include Borrowed Time, a starkly darker film created by two Pixar veterans; the Kickstarter-funded Pear Cider and Cigarettes; and the Canadian creation Blind Vaysha. 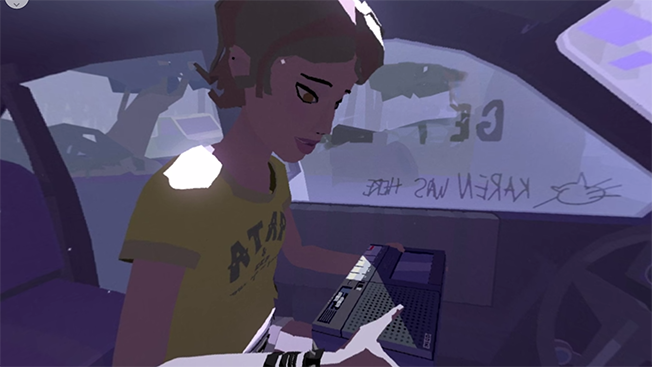 While Pearl is the first VR film up for an Oscar, it's not the first one up for a major mainstream award. Facebook-owned Oculus has won two Emmys: one for Henry and the other for Sleepy Hollow. However, being at the Oscars could help raise the profile of Google's other VR initiatives. It could also potentially help increase interest in Google View, the company's VR headset released last fall along with Google's Pixel smartphone.